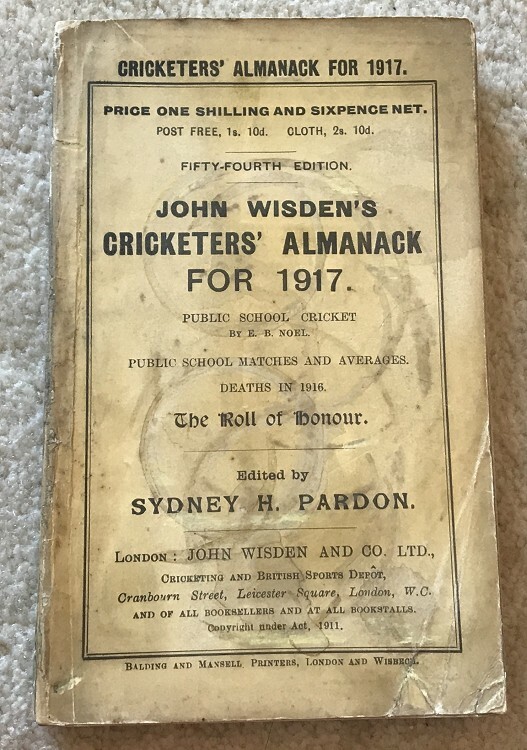 This lot is a 1917 Original Paperback Wisden. It is in Good Condition, but alas a previous owner has used it as a coaster as it has several ring marks to the front cover, the spine has had a touch up with MANACK 1917 hand written, ome touch ups to the covers but internally a very nice book indeed. Nicely priced. Postage: £5 which covers first class delivery fully insured & Jiffy Bag.